I hailed a Lyft this weekend, and, when the driver pulled up, my name flashed in his windshield. My driver introduced me to “Amp,” a nifty bluetooth-powered device. It flashes neon colors, which are personalized for each passenger. For example, the app told me my ride would be orange, and, sure enough, the device flashed orange. 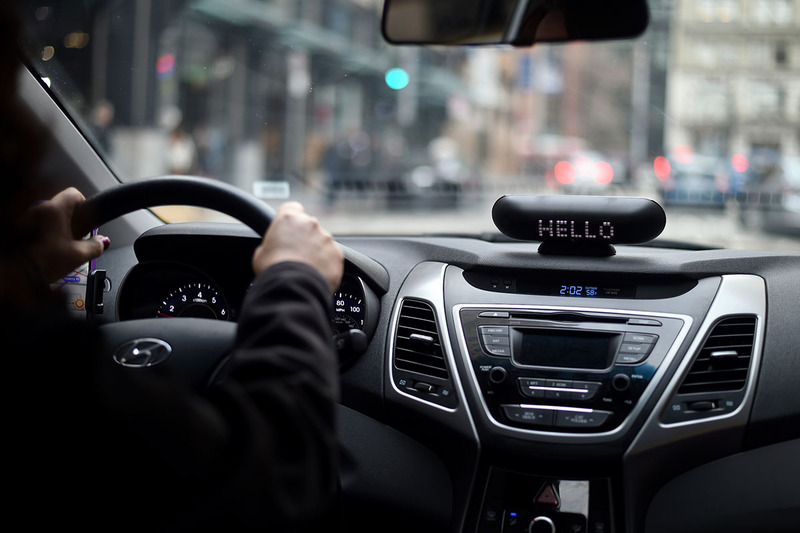 In addition to amping up its services for passengers with the device, Lyft is also using the Amp device to help drivers who are deaf or hard of hearing. Typically, Lyft drivers know when they’re getting a ride request because the app pings audibly. However, those who are deaf or hard of hearing have complained about missing that audio notification, according to Lyft’s press release. But now Amp, which becomes available to all Lyft drivers in most of the company’s major markets once they make at least 250 rides, is going to help out by flashing “NEW RIDE” text across its digital screen. The device is fixed on the dash, like a GPS, so it’s not like it’s going to distract drivers. I’m thinking… have I ever had a deaf or hard-of-hearing Lyft driver? Well, passengers will now get notifications before their rides arrive. That way passengers can communicate via text (as opposed to a phone call) with their drivers and also let their drivers lead the conversation. It could also prevent incidents like this from happening. This isn’t the end of what Lyft has planned to help those who are deaf or hard of hearing. The ride-sharing service plans the continue to work with the National Association of the Deaf to bring even more improvements to the app. You can check out all the details and sign up here. Your Turn: What do you think of Lyft’s new improvements thus far?